Diedrick Brackens constructs intricately woven textiles that speak to the complexities of black and queer identity in the United States. 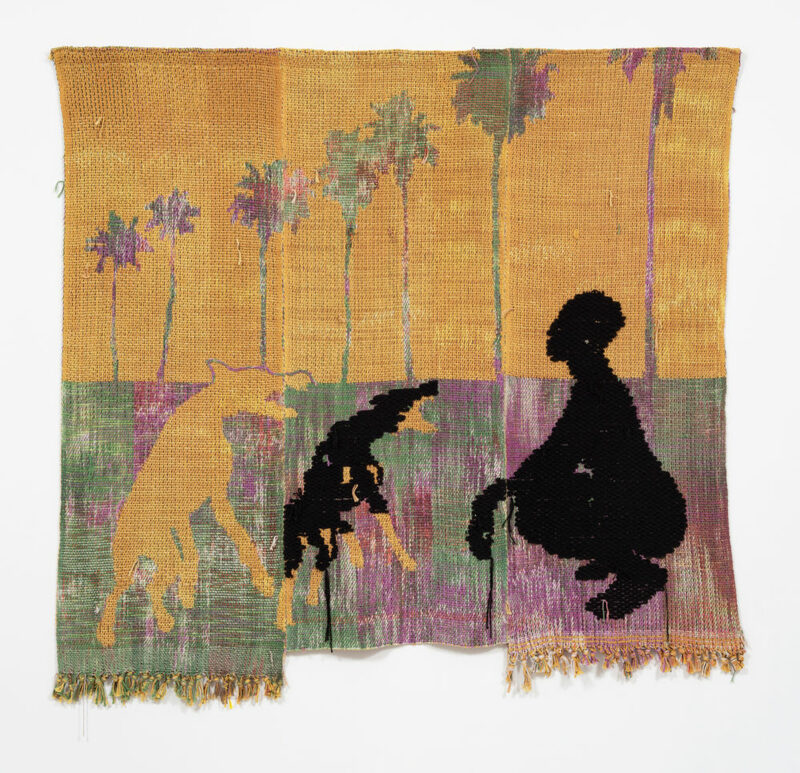 Interlacing diverse traditions including West African weaving, European tapestries, and quilting in the American south, Brackens creates cosmographic abstractions and figurative narratives that lyrically merge a confluence of lived experience, commemoration, and allegory. He uses both commercial dyes as well as unconventional colorants such as wine, tea, and bleach, often foregrounding the loaded symbolism of his materials such as cotton, with its links to the transatlantic slave trade. Brackens was named the 2019 Marciano Artadia Awardee.